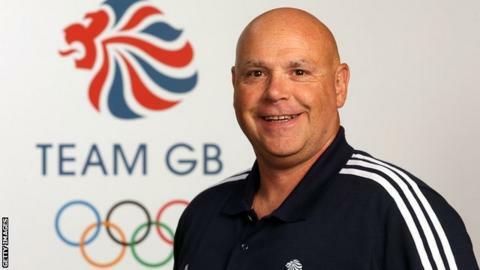 Gary Anderson has left his position as performance director for the British Bobsleigh team less than six months before the Pyeongchang Winter Olympics. He had recently stepped down from some duties to deal with "health issues". In June, GB Bobsleigh became embroiled in welfare concerns amid allegations of bullying and discrimination made against a GB coach. There was no suggestion of any wrong-doing by Anderson but the stress of the situation did not help his condition. In a statement, the British Bobsleigh and Skeleton Association said Anderson had "decided that he needs to devote more time to his family and to his health". During Anderson's seven-year tenure, his four-man crew finished fifth at the 2014 Winter Olympics, just 0.11 seconds from a bronze medal. There were also fifth-placed finishes at the 2013 and 2015 World Championships. A fourth-placed finish in 2016 was the country's best World Championship two-man result for 50 years. "I feel very proud of what has been achieved and of the work that has been done to set up our athletes for success at the Pyeongchang Olympics in 2018," said Anderson. "I know that this current squad of athletes can deliver an Olympic medal. Over the past six months, I have had to deal with some health and personal issues that need further attention and it is important that I prioritise these." BBSA chief executive Richard Parker added: "We would like to thank Gary for his professionalism and dedication throughout his time with GB Bobsleigh." Anderon's replacement is yet to be announced but Chris Price - who was recently brought in to assist with some areas of the work he used to undertake - will continue in his role as strategic advisor.